Retracing Mandela’s values in his long walk to freedom that led not only South Africa but the world to embrace democracy, Obama focused on the challenges facing us “in these strange and uncertain times and political climate.” And for one hour and 20 minutes, he detailed the roadmap toward a brighter future. The speech, offered a sweeping challenge for everyone — governments and individuals alike. The world was asked to continue advancing Mandela’s vision of equality, justice and freedom. 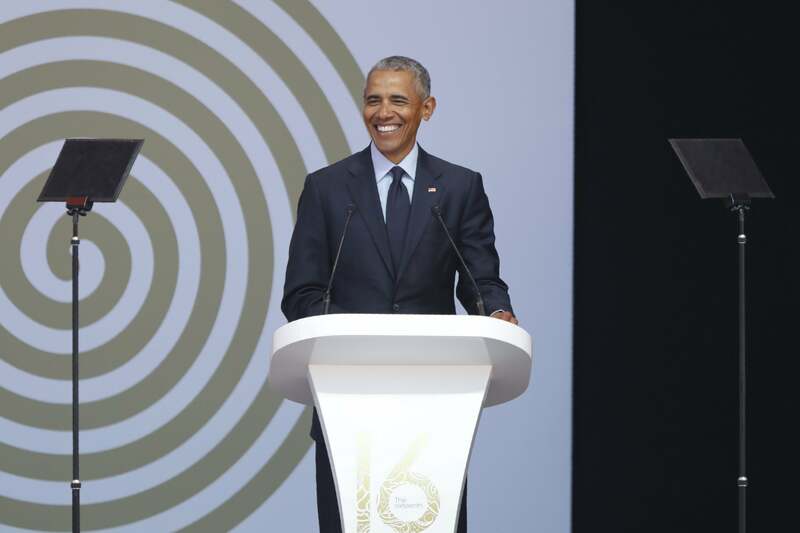 Obama reminded us all that Mandela used his vision to transform a world once filled with “violence and repression and ancient hatred” into a world that has become “steadily freer, healthier, wealthier, less violent and more tolerant” than ever before. The former president was quick to point out that although we have made strides, the new political elite are chipping away at the foundations of our democracy, noting that we are at the brink of reverting “to an older, a more dangerous” and brutal manner of doing business. In typical Obama fashion, his speech was a thinly veiled indictment of the politics of the current administration whose policies have ushered in an era where every societal norm giving rise to democracy is under attack. A world where capitalism is ruthlessly advanced by censoring free speech and slowly creating a state-controlled media. 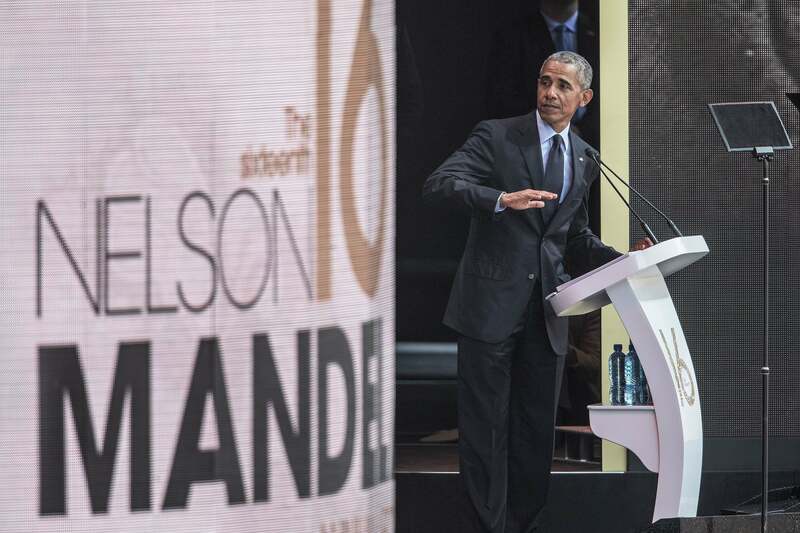 Obama’s task, he said, at this moment in time of Madiba’s 100th birthday, was to provide a roadmap back to a democratic society that embraces “equality, justice and freedom” using Nelson Mandela’s vision. “I believe in [his] vision shared by Gandhi and King and Abraham Lincoln,” and by embracing those philosophies, we can overcome the policies and politicians currently undermining our democratic society. Obama said given globalization, he needed to amend Mandela’s philosophies just a bit, adding that in order to get there, we’re also “going to have to build…and figure out how [to] close this widening chasm of wealth and opportunity.” He suggested using “inclusive capitalism” between nations and embracing technology as methods of closing the economic gap. To get there, Obama said, is everybody’s duty, it is the collective spirit, as he called it. Obama challenged the youth: “my message to you is simple, keep believing, keep marching, keep building, keep raising your voice. Every generation has the opportunity to remake the world.” And our challenge as adults is to help them succeed.